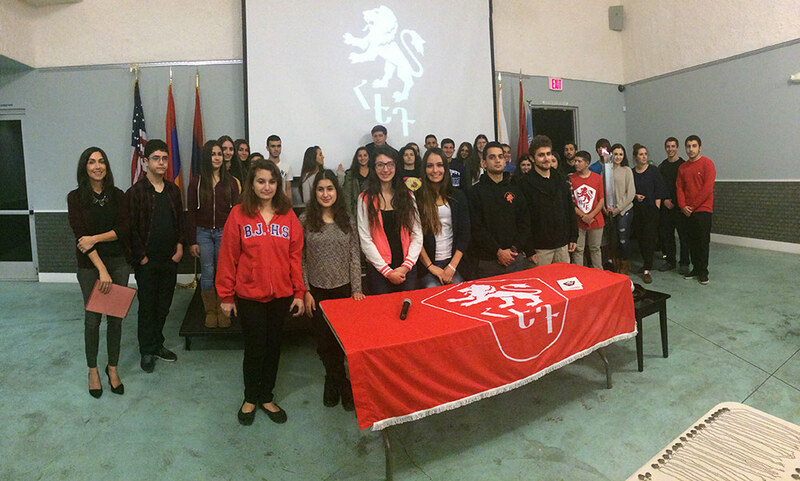 GLENDALE, Calif. – Thirty-five Armenian Youth Federation – Juniors joined the ranks of the AYF on Saturday during an oath ceremony that took place at the Glendale Youth Center. The AYF – Western United States, along with the Juniors Central Council and the AYF Glendale “Roupen” Chapter, held an educational workshop the same morning for the 35 young activists that transferred to the AYF. “The JCC body is so proud of the 35 AYF Juniors that have worked so hard to be here today,” said Saro Shirinian, chairperson of the JCC. During the workshop, the Juniors transfers received a hands-on educational regarding AYF and ARF history, as well as a review of important dates and events. The workshop was organized by the AYF Central Executive and led by the Central Executive. The transfers were then faced with a teambuilding and leadership challenge where they were given the opportunity to work and compete with one another. Aram Kaloustian, youth advisor to the AYF, concluded the workshop with a brief educational on the subject of what it is to be an Unger within the organization. Upon completion of the educational workshop, Dr. Talar Chahinian administered the oath ceremony for the 35 bright and eager transfers. Chahinian welcomed the new members to the organization, recounting her days as an AYF member. GLENDALE, Calif. — The Armenian Youth Federation – Western United States expresses its outrage with the reprehensible actions of the Azerbaijani government in its unprovoked attack of an Armenian helicopter. The attack once again demonstrates an instance of incessant and belligerent ceasefire violations against the Nagorno-Karabakh Republic. We strongly condemn the actions of the Azeri government, which undermines the efforts of the people of Arstakh to live peacefully in their homes, without the constant threat of sniper-fire, kidnappings and rocket attacks. Further, we are disappointed by the OSCE Minsk Group Co-chairs for failing to forcefully condemn Azerbaijan for its continual acts of aggression. The status quo of false parity on behalf of the OSCE Minsk Group is unacceptable — the Aliyev regime must be stopped. 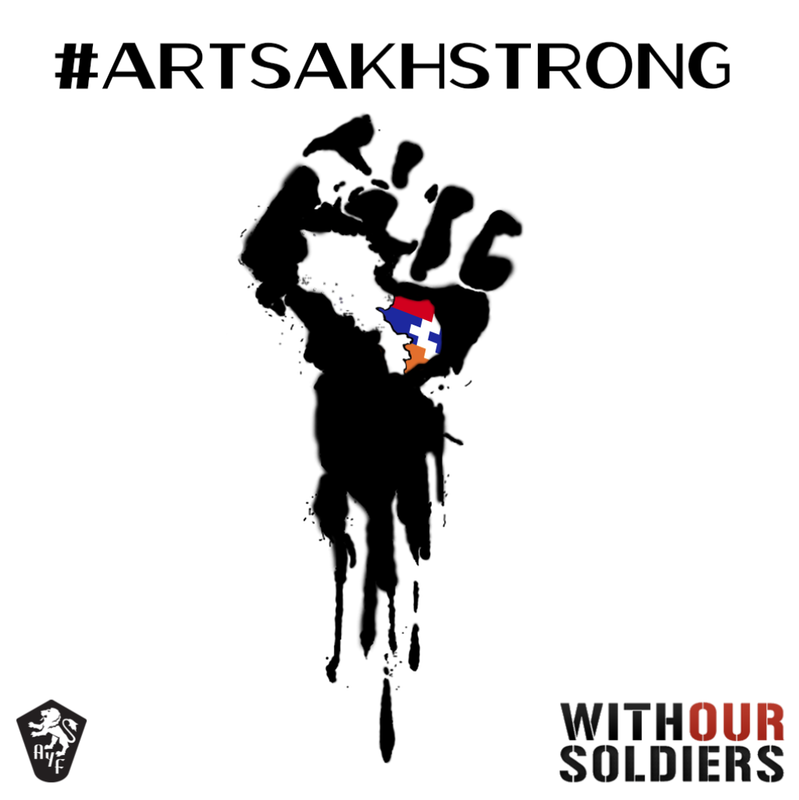 We stand with the peaceful people of the Nagorno-Karabakh Republic and reaffirm their undeniable right to security and independence.